How important are GCSE choices when it comes to university? - Which? Dig about a bit into the entry requirements of most university courses and there, sitting quietly alongside the A-level or other advanced course grades you need, will probably be a section on specific GCSE conditions. In fact, with the recent A-levels reforms, which has seen AS-levels being phased out of final grades at A-level, universities may well look at GCSEs more when making a decision about your application. English and maths (sometimes science) are the GCSEs that universities are most likely to be interested in – and you don’t get the option of dropping these. So whatever GCSEs you choose, you’ll still have a broad range of unis to make up your mind over (if you get the grades, that is). How to appeal a GCSE grade: if you don't get the results you expected, you might be able to get your exams remarked. Keep one eye on your future when you’re weighing up your options. Looking ahead to university courses, it might be that the route you want to go down requires specific A-level or Highers entry requirements. Work back and you’ll realise how important your GCSE choices are. 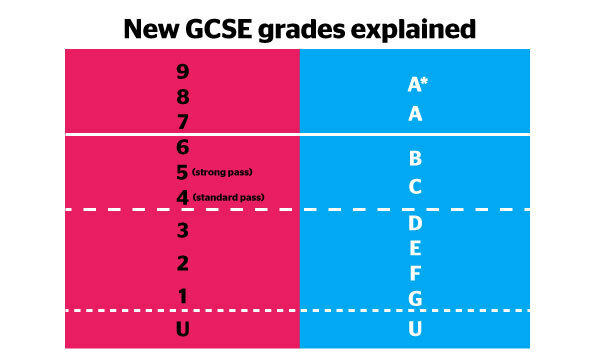 In fact, some schools and colleges will look for a good grade at GCSE in order for you to take the subject at A-level! If you’re not sure what you want to take at uni – or maybe you’ve got a few ideas bubbling away – our list of degree subjects and typical A-level requirements will help get you thinking. A-levels and AS-levels, explained: what you take (and when), how grades are calculated and more. Maths and English GCSEs are now being assessed in a new format, with other subjects to follow in 2018 and 2019. Regardless of which one you take, you’ll cover all three subjects; the key difference is the depth you go into, the number of exams you take and the number of individual GCSE qualifications you come away with. If you apply to a science subject at university – and by ‘science subject’ we mean medicine, nursing etc., as well as biology, chemistry and physics – the entry requirements for a course are likely to include some specifics around GCSEs. Note, Applied Science GCSE (either single or double award) refers to a vocational alternative to those highlighted above. From looking at these variations, your best bet would be to take either the Double or Triple Award to cover your bases and be in the best position later (grades permitting, of course). Can I still study something if I didn’t take it at GCSE? Yes, sometimes you can do an A-level without having studied it at GCSE – in the same way you don’t necessarily need to take a subject at A-level to study it at degree level. Opt for these subjects if you’re interested in them and think you’ll do well – but you won’t limit your options if you don’t. Note that for some degree courses, universities may ask for a minimum grade for English, maths or science at GCSE. For example, those applying to study Psychology at Edinburgh Napier University need (as of January 2018) a grade 5/6 (formerly a B) in GCSE maths, on top of BBC at A-level – but you don’t specifically need any qualifications in psychology itself. don’t choose subjects because you want to be with a best friend or an inspirational teacher – your friendship may not last and the inspirational teacher may leave!